Following the immense success and impact of the documentary series Blue Planet II, Queen Elizabeth was moved enough to ban plastic bottles and straws from the royal estates early on the year because of the programme’s strong environmental message. 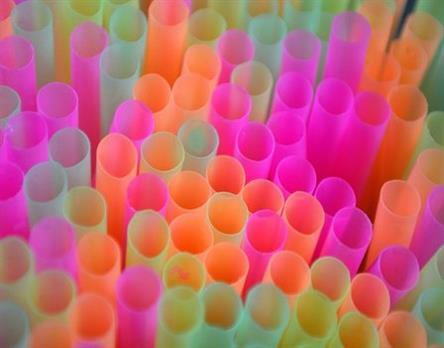 As an organisation which cares deeply about preservation and recycling in Malta, GreenPak has listed a few campaigns around the world that are planning to or have banned plastic straws already. Based in California, The Last Plastic Straw is a movement to eliminate drinking straws from beaches, oceans and seas by encouraging people to refuse straws at bars and restaurants. An astounding 500 million straws are used every day in America, littering the ocean and polluting the earth. From July ’18 onwards, the state of Seattle will only allow the use of biodegradable straws and utensils under a campaign entitled “Strawless in Seattle”. Businesses are expected to ask customers to use recyclable options instead or otherwise go without the tools entirely. At the beginning of the year, Glasgow City Council announced that it will provide only eco-friendly straws, thanks to a campaign by Sunnyside Primary School in Craigend. The schoolchildren worked at a project which detailed and underlined the harmful effects of plastic straws on marine life and the environment. This law was enforced at the end of February. Already a world leader in conservation and environmental protection, Costa Rica now aims to ban the use of plastic straws altogether by 2021, eliminating all single-use plastics. The government will encourage businesses by offering incentives and investing in alternatives to plastic cups, cutlery, bottles and bags. Following the success of the plastic bag ban in the country, the Kenyan government announced at the beginning of 2018 that it will soon move to ban plastic straws as well. Ministers have asked the public to train themselves to drink directly from glasses, packets and bottles, saying that it will ban the distribution of straws at supermarkets and shops when selling soda or milk. Our team Greenpak have come up with a campaign to target plastic pollution! Help increase the practice of bottle recycling and recycling in Malta – increase your chances in winning €100 daily in cash by getting involved in our Crush & Win Campaign. You can save the environment and earn money in doing so! To find out more about other eco-friendly initiatives you'd like to participate in, click here. Be sure to follow us on Facebook and Twitter, for all of our latest updates.